It’s the dead of winter and you are more than likely getting sick and tired of using the treadmill for your cardio. 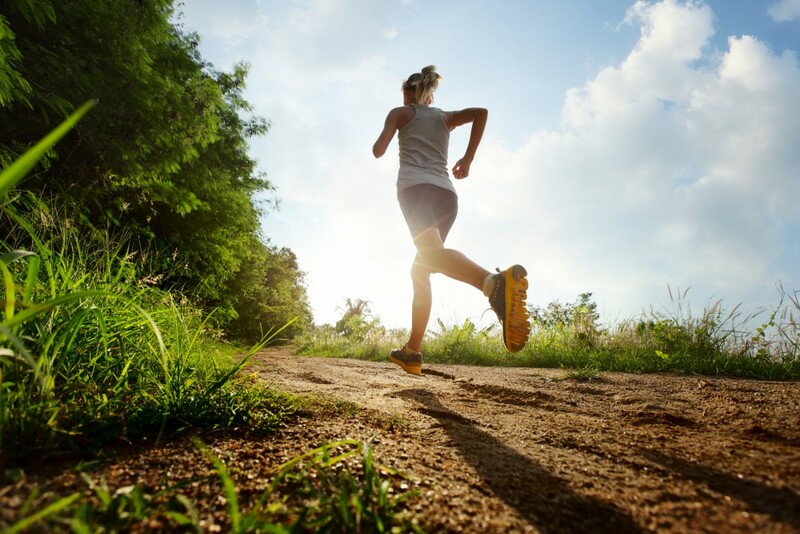 You’ve tried plenty of different interval workouts, varying your speed and distances. But still, you’re getting bored. Well, here’s a good way to freshen things up and still get in a hell of a workout. Hit that button on the left instead of the one on the right, and start running uphill. Here are just a few of the benefits to incline training. Higher Muscle Activation – This is just a really fancy term that means more muscles are involved. When compared with standard flat level running, incline increases the activation of almost every lower body muscle group (quadriceps, hamstrings, calves, hip flexors, glutes), particularly the calves and hip flexors. Your calves are stretched a bit more because of the angle of your foot while landing, while your hip flexors are used to pull your knees higher in order to combat the incline of the hill. That’s not to say the other muscles aren’t grinding it out either, because when you crank the incline up, they all have to work harder. Build Leg Strength – This goes hand in hand with the previous section. Conventional wisdom says that the more you work a muscle, the more active it is, and the stronger it will become. Since incline training increases muscle activation, it makes sense that it would increase the strength of those muscles. Adding to this is the fact that the constant fight against gravity is intensified when you run uphill. Your legs are working much harder at an incline, resulting in more strength gains when compared to flat running. Low Impact – Generally speaking, increased incline provides runners with a lower ground-contact time than flat terrain. Your legs must move quicker to maintain the same speed, so you spend less time on the ground. When you spend less time on the ground you place lower amounts of stress on your hips, knees, and feet. Since we all know that running places a great deal of stress on the lower body, increased incline can be a great way to lower this stress, and thus reduce the risk of injury. Burn More Calories – This is a very simple concept—you’re working harder and putting out more effort. Any time you do this, your body requires an increased energy production. Any time we use more energy, we must burn more calories to do so. Great For Beginners – You’re new to the whole cardio and running world. Maybe you’re not ready for distance running quite yet, but walking just isn’t cutting it. Well, turn up the incline!! Walking at an incline is a great way to bridge the gap between flat walking and running. Incline will not only improve most cardio workouts, but it will also prepare your leg muscles for the rigors of running. So, next time you feel like you’re in a rut on the treadmill, forget about your normal workout and turn up that incline. Or, better yet, go outside and find a hill and get some sprints in!!! Your legs may hate it, but you’ll be glad you did it.